The BFF business model creates US markets for high quality goods created in Malindi, Kenya, where terrorism and high unemployment serve as impediments for working women. In just two short years, BFF’s female artisans have seen their wages increase by 125 percent, which is 50 percent higher than industry standard. The company also invests in direct community development initiatives and seeks to provide its artisans with services such as health insurance, daycare, and transportation. “Rather than decide what people need, we’ve adopted a more organic approach by working with our artisans to discover what would make the most meaningful impact on quality of life to them and their communities,” says Hernandez. 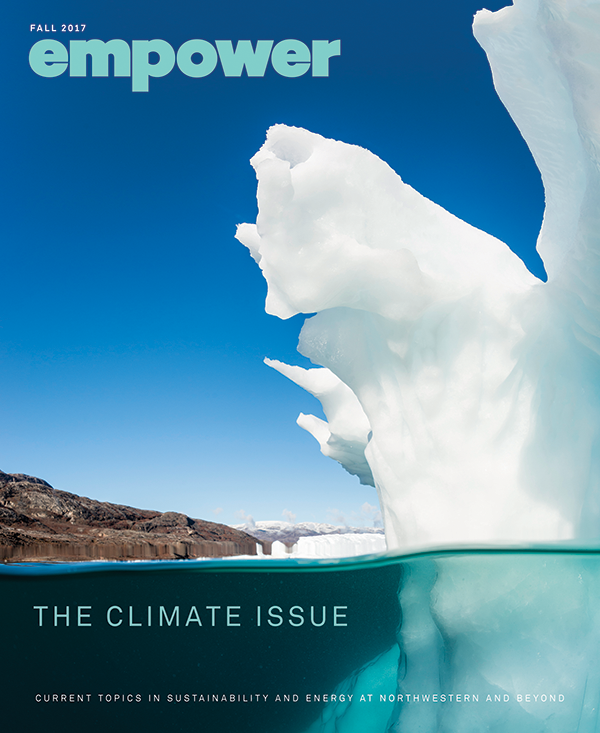 In early 2016, the Institute for Sustainability and Energy at Northwestern (ISEN) launched the Resnick Family Social Impact Program to support interdisciplinary student-led projects that foster innovation, entrepreneurship, and cutting-edge research for crucial needs across energy, sustainability, and related areas such as global public health. The program offers recipients up to $25,000 in Phase I or Phase II project support. 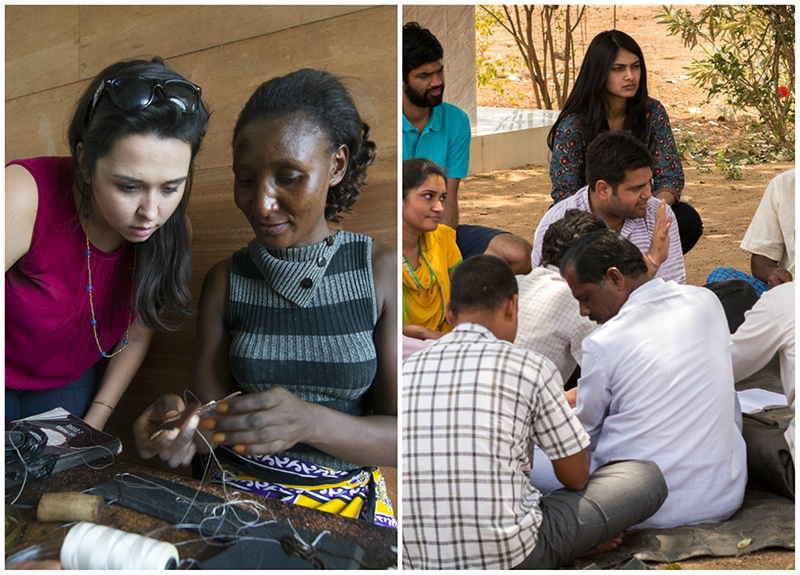 In just a year’s time, the program has supported two social enterprises committed to making an impact on communities in Kenya and Hyderabad, India. Since it began in 2015, BFF has increased its artisans’ production by 20 percent through sales from home shows and festivals. In 2016, the company placed their product in five stores in California and in 2017, it projects placement in 40-50 boutiques. Phase II award will help BFF increase its retail base, establish a consistent social media presence, and increase focus on online sales and festivals. “With this support, we will be able to increase our orders, expand our giving model, develop our product line and build a framework to measure our impact,” says Hernandez. 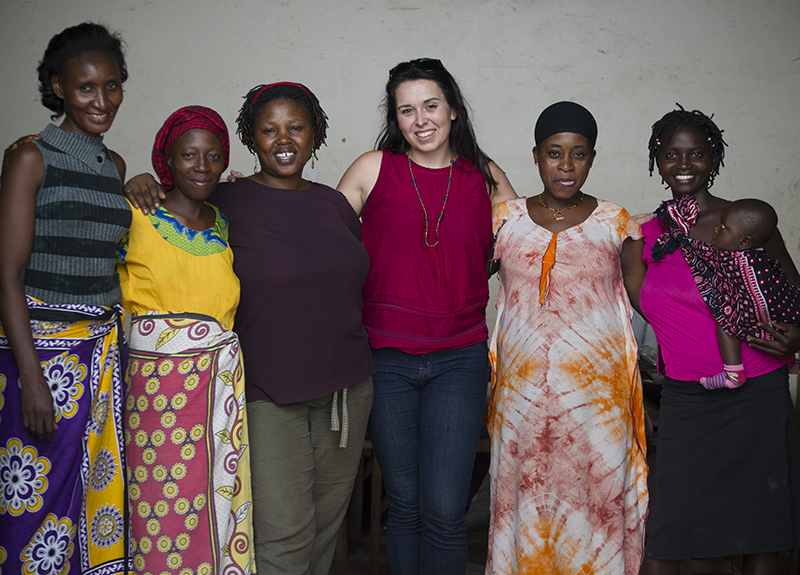 To launch her business while still in school, Caleigh worked with ISEN to pitch her social enterprise to the Clinton Global Initiative University (CGI U) program, an ideas-to-action initiative of the Clinton Foundation for university students. 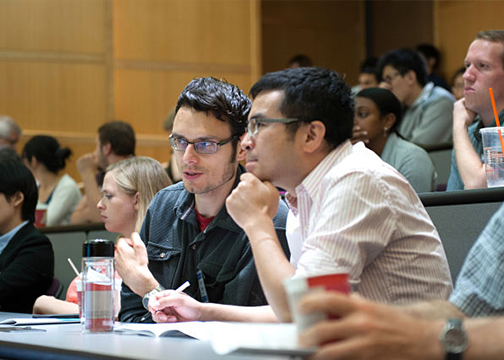 ISEN became Northwestern's liaison to CGI U in 2014 and through its membership, joins universities around the world committed to making a measurable difference in five focus areas: education, the environment and climate change, peace and human rights, poverty alleviation, and public health. The Best Foot Forward team includes three other employees: Lindsay McTravish, director of operations, who has a degree in Small Business Management from Humboldt State University; Allison Fox, creative director, who has a degree in Apparel Manufacturing Management from the Fashion Institute of Design and Merchandising in Los Angeles; and Liam White (WCAS ’18), social media director and current Northwestern student. 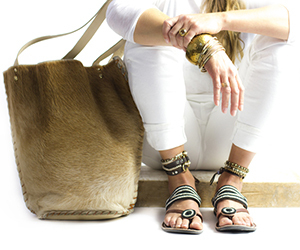 In the future, Hernandez foresees developing a broader range of ethical products from all across the African continent. “We’re currently looking into West African textile, scarves made by refugees in Kenya and various beaded products. By creating new and consistent Western markets for quality designs, we can have significant and lasting impact for artisans,” she says. In May of 2016, ISEN awarded Phase II funding to Kheyti, a social enterprise that delivers low-cost, modular, and technologically equipped greenhouses to smallholder farmers in India. Kheyti was founded to make an impact on the lives of farmers experiencing the effects of climate change, from unpredictable spells of drought, rain, and wind to the migration of new insects that diminish annual yields. 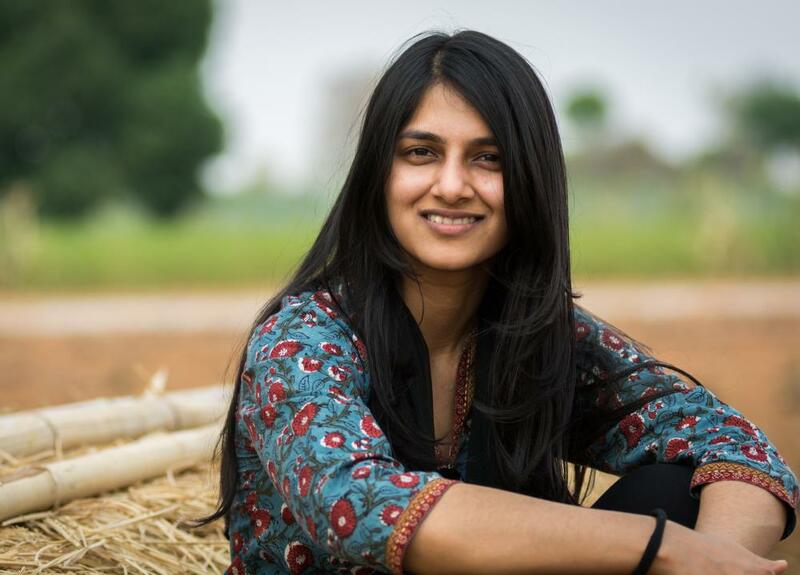 "I grew up in one of the most impoverished states in India and have been working in the social impact sector for the past 5 years," says Kheyti's co-founder Saumya (KSM '17). "I launched Kheyti in 2015 after seeing firsthand the helplessness small farmers feel when their hard work doesn’t pay off. Our dream is to help 1 million farmers break out of the cycle of poverty by 2025." Kheyti’s Greenhouse in a Box is a greenhouse solution with a bundle of installation and training services, delivering a product that would decrease the unpredictability of farming and increase a farmer’s earning potential. Since receiving the award in 2016, Kheyti has received mentorship from local, national, and international experts in areas ranging from crop cultivation to design. Through partnerships and financial support from the Resnick Program, the company has secured 15 paying customers, cut the cost of their greenhouse by $500 to $2300, and reduced the installation time from 15 days to 5 days. The team also has one year of growing experience and have validated the revenues, yields, and costs of growing three crops within their structure. In January, Kheyti linked up with design students from the Segal Design Institute at Northwestern to collaborate on optimizing greenhouse design. With the support of Phase I Resnick Program funding, upperclassmen from materials science, manufacturing and design engineering, and mechanical engineering will travel to Hyderabad, India this spring to conduct user interviews with farmers, meet with local manufacturers and distributors, and source local materials for the greenhouses. “Understanding our users, their needs, and the way they will use the greenhouse will help define the ultimate goals and requirements for our final design,” says Brianna Downs (MEAS ’18), a manufacturing and design engineering major on the team. While in India, the team will analyze various options for structural design, including a foundation made of concrete, hand augers, or rebar stakes for cost and durability. They will also test assembly methods and materials that would eliminate the need for ladders and reduce the number of people (currently six) needed to assemble the greenhouse structure. Being able to make assessment and test hypothesis on the ground in the location where the greenhouses will be assembled will make a critical difference for the team’s recommendations. For example, testing the load-bearing capacity of various stakes and other buried foundation designs in Evanston soil would not be as reliable as testing in the much drier soil in Hyderabad. In February, Saumya was awarded the 2017 Youn Impact Scholarship for emerging social change agents, both students and alums, from the Kellogg School of Management. Kheyti’s next goals are to reduce the overall cost of their greenhouse to $1,400, which market research identifies as the price at which Kheyti can scale its product, make the greenhouse a true kit and completely DIY for farmers, and make growing fool-proof. They are also looking to fine tune their financing model and have set their next fundraising goal at $130,000, which would provide them the ability to serve 150 farmers by the end of the year. Moving forward, the team is looking for partners with agricultural, design, and greenhouse manufacturing experts.